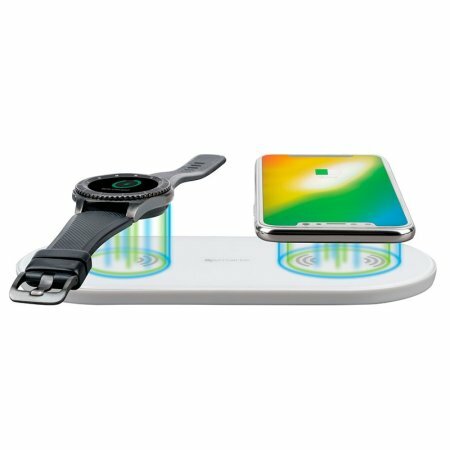 Wirelessly charge two Qi supported devices at once with this convenient and stylish 4smarts Voltbeam dual wireless charging pad, compatible with lightning, micro-USB and USB-C you can virtually use any high power cable to power this device. Ideal for phone not for watch! Recently bought wireless charger to charge my Samsung Galaxy S6 & Gear S3 simultaneously as in the photo. Sadly the device is not compatible with the Gear S3 watch and will not charge. Works fine with S6 & S8 phones.